Amalgam fillings were once a standard dental treatment. More recently they have fallen out of favour. Alternative materials such as porcelain or composite resin look natural and do not contain mercury. They often require less alteration to the tooth. Many patients that need a new filling are looking for materials that are biocompatible. However, the decision can be more challenging for those who already have amalgam fillings. The precise amount of mercury vapour released by “silver” fillings, the percentage of it that enters the body, and the impact it may have on health, are at the heart of the amalgam debate. However there is general agreement about two facts. The first is that amalgam fillings do release some mercury vapour on an ongoing basis. The second is that the amount of vapour, as well as particulate matter caused during placement or removal of amalgam is dramatically higher than the daily release of an undisturbed filling. Isn’t there a better solution? Yes! That solution is a special amalgam removal protocol, which was developed by the International Academy of Oral Medicine and Toxicology. It involves steps to reduce mercury emissions as well as protect the patient, dental team, and the environment. Supplemental air supply – The patient is provided with oxygen during the amalgam removal process to reduce the incidence of inhaling mercury vapour while the amalgam restoration is being removed. Suction – We use high volume suction to collect amalgam particles as the amalgam restoration is removed and also to remove any mercury vapour that may be released during the procedure. Rubber Dam – We use non latex rubber dam to isolate the tooth as latex rubber dam is permeable to mercury vapour. 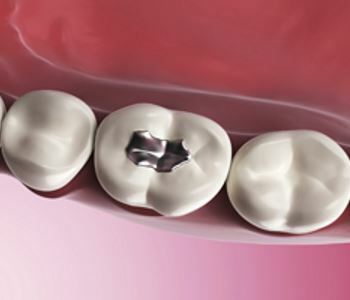 The rubber dam also prevents any amalgam particles from being swallowed during the amalgam removal process. Filtration – The air is the surgery is filtered with an air purifier. Staff protective equipment – The dental team uses gloves, breathing aids such as respirators, and other measures to avoid contacting or breathing mercury vapour during the removal process. Responsible disposal – Amalgam mercury waste is collected and disposed of according to proper hazardous waste protocol. This protocol allows us to remove amalgam fillings safely. The fillings are then replaced with cosmetic, biocompatible materials, for a dazzling and healthy smile. We are proud to use a strict mercury-safe protocol at both of our Melbourne area offices. If you are considering getting the mercury out of your mouth, call us on 03 8400 4104 (Moonee Ponds) or 03 8001 6021 (Sunbury).